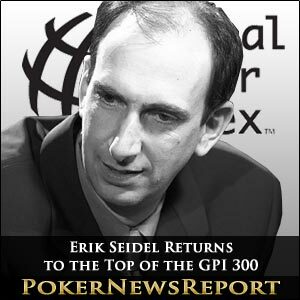 American Erik Seidel has returned to the top of the Global Poker Index (GPI) 300 after his fantastic results from last year’s PCA moved into Period 3.
at The Bellagio in Las Vegas. Team PokerStars Pro Mercier, from Hollywood, has 2,986.07 points, which is 28.27 less than the last update, while Seidel has seen his score leap 136.49 to 2,988.29, although the former could well return to the top of the GPI within the next few weeks as some of Seidel’s biggest scores drop into Period 3. A notable big mover is French-Canadian Jonathan Duhamel, who has seen his ranking shoot up 41 places – following an increase of 30 the previous week – to take him to just outside the top 10 in 11th spot on 2377.58 points. By January 13 of last year, though, the Vegas-based Seidel had picked up fourth place at the $25,000 buy-in No-Limit Hold’em High Roller event for $295,960 after collecting $46,560 just a few days earlier for finishing third in the $5,000 buy-in No-Limit Hold’em Six-Max event of the PCA on Paradise Island. The 52-year-old – who has eight World Series of Poker (WSOP) bracelets to his name – continued his incredible start to 2011 with third place for $618,139 at the AUD$100,000 buy-in No-Limit Hold’em event at the Aussie Millions in Melbourne, before adding $2,472,555 for his first place finish at the AUD$250,000 buy-in Super High Roller No-Limit Hold’em tournament before January was out. Amazingly, by the time May was completed, and ahead of last summer’s WSOP, the Poker Hall of Famer had added $14,500 for fifth in the $5,100 Heads-Up Championship at the LA Poker Classic, $144,570 for winning the $25,100 buy-in High Roller Event – also in the Los Angeles competition – as well as $750,000 for taking down the $25,000 buy-in No-Limit Hold’em NBC National Heads-Up Championship in Sin City, $155,103 following his runner-up spot in the $9,600 buy-in No-Limit Hold’em main event of the Hollywood Poker Open in Lawrenceburg, and another crown and $1,092,780 for winning the $100,000 buy-in No-Limit Hold’em Super High Roller at the ninth annual Five Star World Poker Classic in Vegas. Phew! That’s well over $5.5 million in live tournament earnings from just the first five months of last year. Incredible. Meanwhile, French Triple Crown winner and Team PokerStars Pro Bertrand ‘ElkY’ Grospellier may have lost 5.4 points, but he still holds third spot on the GPI 300 with 2,823.70 to remain ahead of fourth-placed Brooklyn-based Team PokerStars Pro Eugene Katchalov (2,760.52 points), of Ukraine. Former Team Full Tilt Poker Pro Shawn Buchanan continued his rise inside the top 10 as he moved above English star Sam Trickett into fifth place after the Canadian increased his points total by 241.64 to 2,672.49. At the same time, Titan Poker Team member Trickett saw his total stay the same. Florida’s Matt Waxman (2,429.83) and 2011 Legends of Poker champion Will ‘The Thrill’ Failla (2,423.22), from New York State, moved up one place to seventh and eighth respectively as Brooklyn’s Vanessa Selbst (2,412.31) – another Team PokerStars Pro – fell two spots into ninth place. A second Canadian, Ontario’s Mike ‘Timex’ McDonald (2,406.80), completes the top 10 after he crept up from 11th, with Vegas-based Sam Stein – October’s European Poker Tour (EPT) San Remo €10,000 buy-in No-Limit Hold’em 8-Max champ – dropping down to four spots to 14th on 2268.94, which is actually 19.96 more than his previous score. One-time WSOP bracelet winner Duhamel, meanwhile, has continued his meteoric rise up the GPI 300. The Team PokerStars Pro’s fourth place from the PCA’s $100,000 buy-in No-Limit Hold’em Super High Roller event for a $313,600 pay day on January 5 saw him rocket up the list last week, while three additional final table appearances – a second in the $25,000 No-Limit Hold’em Eight-Max High Roller for $634,550, a fifth in the $5,000 No-Limit Hold’em Eight-Max Turbo for $17,990 and first in the $5,000 No-Limit Hold’em 8-Max for $239,830 – saw him add more than $1.2 million to his live tournament earnings. As the 2010 WSOP main event champion has no vital scores ageing over the next few weeks, expect the 24-year-old to move into the top 10 next time. Players will also be looking to results from the Aussie Millions to affect their rankings by the time February begins, while last year’s staging of the event will see scores drop into Period 3. Home favourite Brendon Rubie, of Sydney, secured the first event in Melbourne, taking down the AUD$1,000 No-Limit Hold’em opening tournament on Sunday for $205,895 so has started the event out in fabulous fashion. But last January’s results will undoubtedly hit players such as Seidel and Nottinghamshire’s Trickett hard. Seidel managed a third place in the AUD$100,000 No-Limit Hold’em event then, but will see that score drop into Period 3 next time out, while his win at the AUD$250,000 Super High Roller will fall into that period the following week. Those changes could possibly allow Mercier to return to the top of the GPI. Trickett – who won last year’s AUD$100,000 No-Limit Hold’em event for $1,508,258 and followed that up with a runner-up spot for $1,384,631 in the AUD$250,000 Super High Roller at the Crown Casino – could drop out of the top 10 over the next fortnight as those scores age into Period 3. In the meantime, an enormous 27 players cracked the top 300 on the latest rankings, with Russian Leonid Bilokur making the biggest impact by landing at 97th on 1,529.15 points. Bilokur picked up $1,134,930 for winning the $25,000 buy-in No-Limit Hold’em Eight-Max High Roller at the recent PCA – and that score ensured he made the biggest impression on the GPI. Additionally, Vegas-based Jon Turner, who is a former member of Team Full Tilt Poker, managed three cashes – a second in Day 1 of the $5,000 buy-in Eight-Game Championships, a sixth in the $10,000 No-Limit Hold’em Six-Max High Roller and 24th in the $2,000 No-Limit Hold’em Bounty event – at the PCA to move into 119th on 1,442.92 points. Then there is San Jose’s Faraz Jaka, who made 145th place on the GPI his own after finishing third in the PCA main event for $755,000 to see him return to the top 300 after one week outside. Then there is Danyel Boyaciyan (252nd on 1.125.96), Burro Poker Team Pro Bolivar Palacios (255th on 1,117.17), Xuan Liu (258th on 1,109.73), Vyacheslav Igin (262nd on 1,106.18), Team PokerStars Pro Liv Boeree (263rd on 1,103.27), Justin Schwartz (264th on 1,102.75), Alex Venovski (278th on 1,084.03), Eddy Sabat (279th on 1,083.22), Tournament Poker Edge Pro Mike Leah (282nd on 1,076.53), PokerStars regular Yuliyan Nikolaev Kolev (286th on 1,070.48), Stephen Chidwick (291st on 1,062.44) and former Ultimate Bet Pro Adam Levy (292nd on 1,062.11). 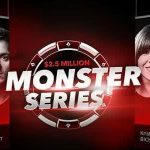 As we always emphasise at Poker News Report, that means 27 players must have dropped out of the rankings, including some of the game’s biggest names in Hendon Mobster Dave ‘The Devilfish’ Ulliott, former Team Full Tilt Poker Pros Erick Lindgren and Praz Bansi, Team PokerStars Pro Joe Hachem, Phil Laak and Ted Forrest. The others dropping off the 300 are Ville Haavisto, Team PokerStars Pros Sebastian Ruthenberg and Humberto Brenes, Black Belt Poker Team member Richard ‘Chufty’ Ashby, Ognjen Sekularac, ex-Team Full Tilt Poker Pro Nikolay Evdakov, Nicolas Cardyn, Nenad Medic, PokerStars regulars Joe Serock, Paul Berende, John Andress, Daniel Reijmer and Jared Jaffee, Jan Bendik, Gregory Brooks, Fabrizio Gonzalez, former Team Ultimate Bet player Brandon Cantu, Team Victory Pro Andrew Robl, Amnon Filippi, ex-Team Full Tilt Poker Pro member Allen Cunningham and Titan Poker Team player Alex Debus. The biggest climber of the week is Canadian Andrew Chen as the Ontario man gained 119 places to sit at 96th on 1,531.13 points after a successful stay at the Atlantis Resort and Casino. The Mississauga native, like so many others on this list, scored big at the PCA with second place in the $10,000 No-Limit Hold’em Six-Max High Roller, fourth from the $2,000 No-Limit Hold’em Turbo and 15th in the $1,000 No-Limit Hold’em Win the Button event for a combined total of $227,344. 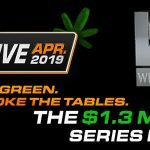 The first two of those events count towards the PokerStars player’s rankings, with the High Roller tournament coming into play in the next GPI 300. Chilean Party Poker player Nicolas Fierro (up 103 places to 81st on 1,603.75 points) and Isaac Haxton (up 94 to 40th on 1,876.51), who lives in Vegas, also did well out of the PCA after finishing in fifth and third places respectively in the $25,000 No-Limit Hold’em Eight-Max High Roller, while Vegas-based former Team Full Tilt Poker Pro Scott Seiver – who had been a top 10 member back in November – moved up 81 places to 52nd on 1.751.91 points after chopping the $5,000 No-Limit Hold’em Heads-Up Championship with Thomas Gabriel for $78,210. Other big gains were made by Team PokerStars Pro Barry Greenstein, who now sits at 98th on 1.527.34 after moving up 112 places, Hans Winzeler (up 104 places to 158th on 1,314.06 points), Evgeny Zaytsev (up 97 to 203rd on 1,216.30), PokerStars player Yevgeniy Timoshenko (up 94 to 128th on 1,410.65), Kenny Hallaert (up 91 to 181st on 1.257.30) and Keven Stammen (up 85 to 123rd on 1,434.98). However, there were also huge losers as the likes of Canadian Will Molson dropped 165 spots to 296th on 1,055.23 points after his incredible run of top two finishes at the PCA’s $25,000 No-Limit Hold’em Eight-Max High Roller ended at three when he finished out of the money this year. The Montreal pro saw his win at last year’s event drop into Period 3, while his second place from 2010 fell into Period 5, so chopping down his points tally. There were nine other notable losers, including PokerStars player Nick Schulman, who dropped 109 places to 228th on 1,167.88 points, Daniel Colman after he landed at 225th on 1,179.46 when falling 108 spots, and ex-Team Full Tilt Poker Pro Justin ‘Boosted J’ Smith – whose ranking fell 72 places to see him hold 1,224.00 points in 195th. Two more PokerStars regulars, Brandon Meyers (down 63 places to 223rd on 1,183.04 points) and David Paredes (down 56 places to 222nd on 1,188.18 points), saw their rankings slip, while others losing spots included Joe Elpayaa (down 56 to 224th on 1,183.79), Maria Ho (down 56 to 289th on 1,069.07), Erich Kollman (down 55 to 147th on 1,347.52) and former Team PokerStars Pro William Thorson (down 54 to 130th on 1,407.82). Don’t forget to check back here for the latest developments on the GPI.